See our full cable protector range here. 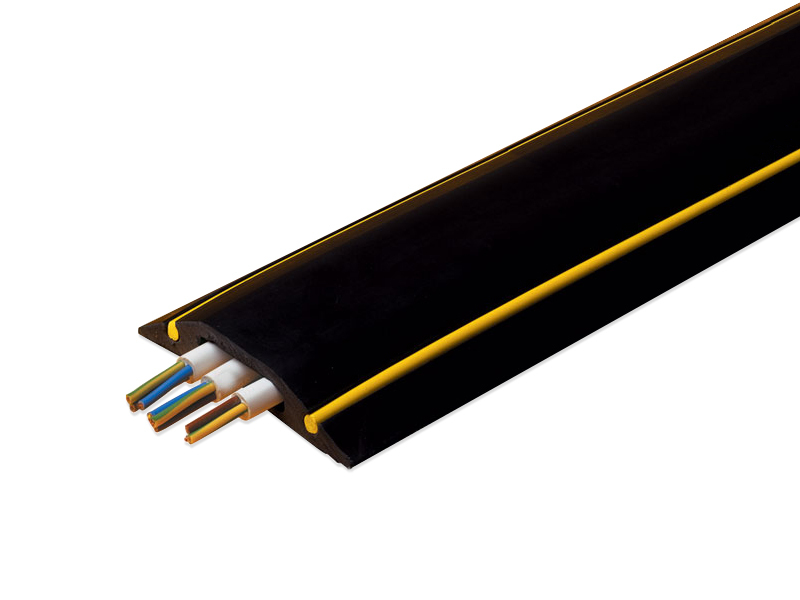 The Cable cover featured on this page has a unique membrane located in the base for safe application. 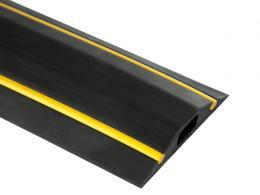 It is also highly visible having a warning stripe along each side and we think it is a tidy cable cover solution for a hazard free office. What is the purpose of the Snap Fit (Coloured) Internal Cable Protector? The Snap Fit (Coloured) Internal Cable Protector is designed to secure cables and cords in a work area. Construction of the cable protector is composed of polymer. The polymer does not have a plastic odour. An added feature is the smooth and sloping edges that allow for trolleys or carts to be rolled over with ease. The protector is easy to clean and comes in 9m lengths. The protector can be easily cut to meet your needs. Aperture dimensions range from 14mm to 30mm for the width. The height runs for 8mm to 10mm. Available in black with yellow hazard insert. Cable protection is an effective method of reducing trips and falls. Installing items such as cable matting cable protectors are a cost effective form of cable management, and also limits any possible damage to cables and wires. The cable protector can be used in offices, warehouses, factories, schools, and hospitals. Any work environment that uses cords and cables can use the protector. Computer labs will also find the protectors useful for existing computer systems. The cable protector can be used by any member of the staff to prevent falls and injuries. Having loose wires about can cause an employee or customer to break bones, this can be easily prevented with the cable protector. Wire covers can be easily applied throughout a premises by a variety of people. The cable protector is fire retardant to BS476 Part 7 Class 3 and non-conductivity to BS903-C5 500V. The unit is made from high quality materials and is durable under normal work conditions. A recent customer review stated the cable protector was easy to install and perfect. As its name suggests, the Snap Fit cable protector requires no fixing and provides a simple yet safe solution for office trip hazards. The warning stripe that runs along the sides gives the protector a highly visible profile. Made from polymer it is both fire retardant and has non-conductivity to BS903-C5 500V standards. 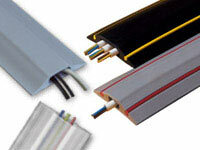 It is easy to optimise cable management with our cable protector range. 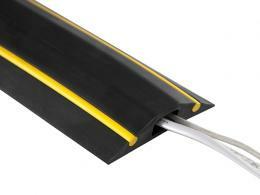 We offer a variety of indoor and outdoor cable protectors to suit any workplace.